We are not planning to see this movie. But I see my friend, Sheila English, author and CEO of Circle of Seven Productions, published one. So I asked if I could re-post her review here. Enjoy! 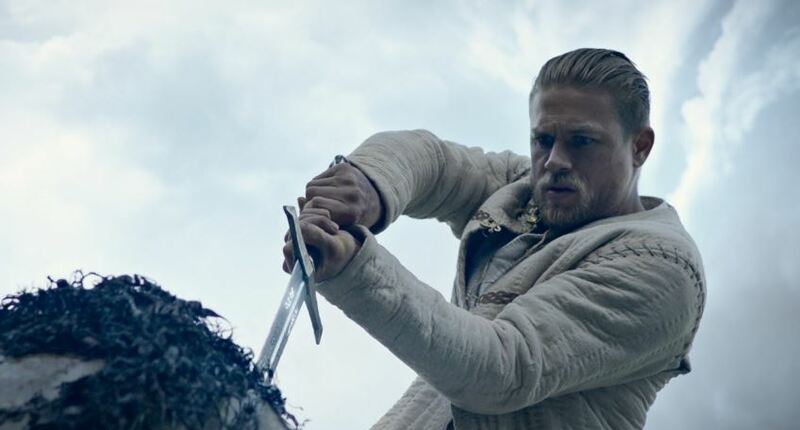 The cast is impressive- Charlie Hunnam (SOA), Jude Law, Eric Bana. All amazing actors! Though Charlie did seem very similar to his Sons of Anarchy character as far as attitude goes. Still, he did okay. The special effects are top notch and worth seeing. The overall story was okay. This should have been a movie everyone is talking about, but it really isn’t. First, it was up against Guardians of the Galaxy Vol. 2. That’s tough. Next, it tried to fit a 6 hour story into 2 hours. The quests, Arthur’s inner conflict, it was mishandled in my opinion. He went on a quest to address his conflict and came out with no real resolution and had to try again. The story wandered. It was almost like they wrote the story around what special effects they could do. It was odd to me. Don’t get me wrong, I liked some of it a lot. We find out where the stone comes from and I loved that. Very creative. We see the round table being built and I really liked that. The cinematography was lovely. But, Jude Law’s character’s final sacrifice to get his evil way felt flat. I just didn’t care. That was poorly handled. Jude Law is a great actor and they should have given him a little more depth. Djimon Hounsou was under-utilized. Aidan Gillen, same thing. I did like Astrid Berges-Frisbey as The Mage, but she could have had a bit more mystery about her. Why her? What was her tie to Merlin? The actress wasn’t as under-utilized as the character was. It wasn’t horrible. It was mediocre. And with all that talent, “mediocre” feels horrible. I was glad I saw it. I enjoyed most of it. Would I see it again? No. I’d see Guardians for a 3rd time. My rating is- wait till it comes out on Netflix or Amazon or at Redbox. As a side note that is humorous and I did like. They paid a slight homage to Princess Bride with ROUS’s. Rodents of Unusual Size. The problem is, that’s a romance, and this was not. Still, it made me laugh.